Before anything else I want to say sorry to those who have seen the 'hacked' message of Op-Israel. Err...this has been the 3rd time that my blog was hacked and getting it back online is such a big pain. I just researched and did what I can do. In the positive side I am learning, but not enough reason to get more hacks in the future! I wonder what I can do to secure my website? Okay so I'll stop blabbering now. 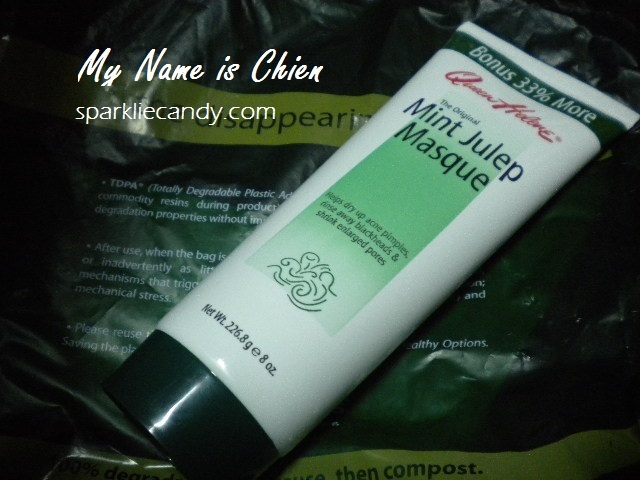 Today I'll review my personal favorite- Queen Helene Mint Julep Masque! Make sure that you wash your face before using the product. Spread it heavily and evenly to your face (or your neck too if you prefer) make sure that there is enough clay on every part of your face. You will feel that you are ready to wash off the mask when it's already dry. I always sneeze when I have this on because I can inhale it's powder form. LOL. My skin looks fresh and feels clean after washing the mask off. Sometimes I needed to double wash to fully remove every trace of mask on my face. 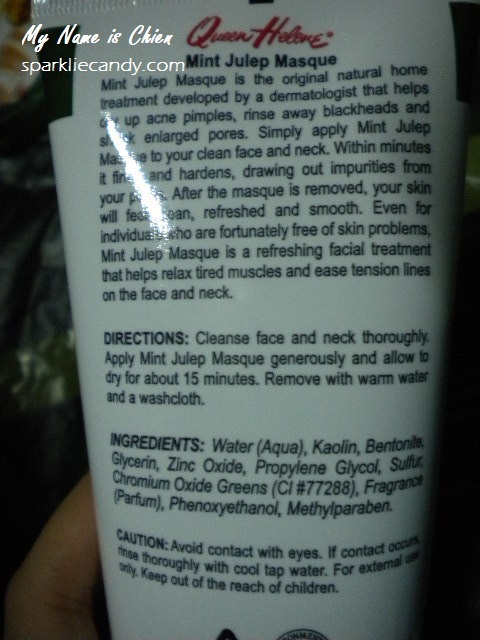 Did Queen Helene Mint Julep Masque stayed true to it's promise? YES! Like what I've said I use this as spot treatment and it does help in minimizing my pimples after about 2-3 applications. I use this hand in hand with my bleaching cream which is also a drying agent for acne. Works like magic. Yes and No. It does significantly lessen the appearance of blackheads but it's still there. Yes and No. I have enlarged pores as for your reference. 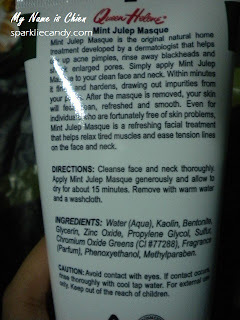 I do notice that my pores seems less noticeable after washing out the product but after a while it gets back to normal. Healthy Options for about Php329 per 226.8g/ 8 oz. tube. Cheap because there is so much product inside the tube! Works like magic especially in being a spot treatment for pimples. Refreshing and perfect for summer! Yes! I don't expect this mask to work on pores nor blackheads. For me, the product works the way that it should. I love, love, love this mask. This is the cheapest clay mask I've used so far and I have no complains or whatsoever.